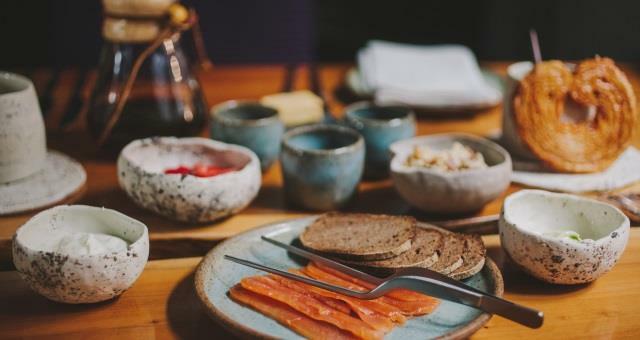 Ynyshir Restaurant and Rooms01654 781209work Restaurant with RoomsSet in fourteen acres of grounds, Ynyshir is an award winning five star restaurant with rooms located 10 miles from Aberystwyth and 6 miles from Machynlleth in the beautiful Dyfi Valley. The restaurant at Ynyshir is one of Wales’ most unique and contemporary fine dining destinations and holds five AA rosettes as well as its Michelin Star. The focus is on the complete experience, a journey through our landscape and through our seasons. The restaurant serves alternative British tasting menus using the very best of Welsh and British produce. Ynyshir has a total of ten uniquely furnished guest rooms, each with its own style and character. There are seven rooms within the main house and three deluxe rooms outside in the gardens. 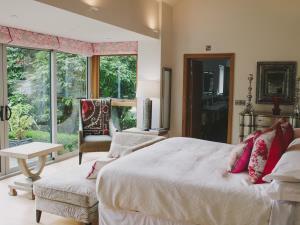 All rooms have spacious king-size beds and an en-suite with a separate bath and shower featuring Temple Spa products. Most rooms offer views over the gardens and Cambrian Mountains. There are fourteen acres of gardens to explore with containing a myriad of established trees, shrubs and flowers. The Ynyshir RSPB, a renowned nature reserve and is located a 10 minute walk away offering fabulous walks through various habitats. Ynyshir is also located just 10 minutes from the Welsh Coast Path as well as Ynyslas beach. Six miles from Machynlleth and ten miles from Aberystwyth. See website for interactive map.